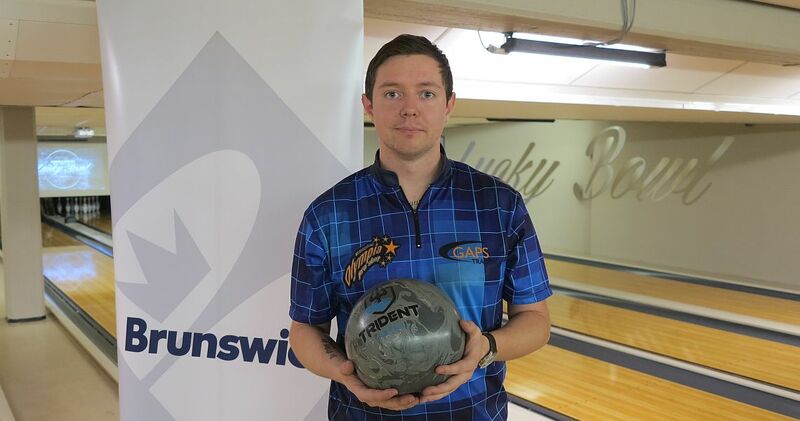 Bowling his very first qualifying series at the Norwegian Open by Brunswick, Robin Persson of Sweden paced the 32 players of squad 15 Tuesday evening at Lucky Bowl Veitvet in Oslo, Norway. 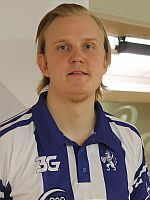 Persson (right, and featured photo), who sandwiched games of 180 and 199 around games of 218, 279, 204 and 247, was the lone player in this squad who surpassed the 1300-bar and therewith the cutline with 1327 total and an average of 221.17. He moved into 31st place in the overall qualifying standings. Mattias Wetterberg leads the 158-player field with 1514 and an average of 252.33, while Ronny Olavesen of Norway slipped one spot to hold the 42nd and last place to advance from the overall leaderboard with 1302 or an average of 217.00 (last year’s cut was 1317). 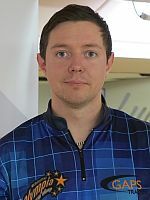 John Fossum of Norway was second in squad 15 with 1273, good for 52nd place. Wendy Bartaire (right) of France was third and the best woman in this squad with 1243, including women’s bonus pins. 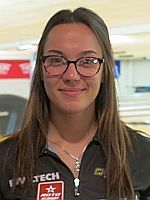 Bartaire sits in 47th place with her high series of 1287. 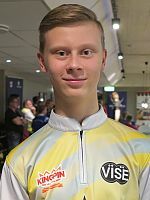 Sweden’s Judith Friman was further five pins back with 1238, also including bonus pins, while multiple European Youth Champions and reigning EYC team champions Oskar Wirefeldt and William Svensson (left) were fifth and sixth in squad 15 with 1213 and 1209, respectively. Qualifying continues on Thursday, Oct. 11, with squad 16 starting at 9 p.m. Central European Summer Time (CEST).